For such a small island, Hilton Head has played an outsized role in our nation’s history. Famed for its modern era of world-famous golf and vacation excellence, the island’s story prior to development is equally enchanting, and impossibly vast. The first visitors to our shores were paleoindians, drawn by our island’s abundant fishing and hunting, plus its relatively temperate climate. Little is known about these early visitors, other than they made their first appearances centuries ago (the debate rages, but scholars put it between 18,000 and 13,000 years). They left behind clues to their lifestyle in the form of a wide shell rings, as tall as four feet high and as large as 150 feet around. Scholars have competing theories as to their purpose, but no matter their function they point to a people who spent a good deal of time on the island harvesting seafood. The first record we have of new world exploration comes in 1521, when Spanish captain Francisco Cordillo would launch an expedition onto the island to trade with natives. The island would get its name in in 1663 when Captain William Hilton would spy the tall bluffs of its north end from his ship, The Adventure. Over time, the island would come under control of the English, the Scots, the Spanish and the French at turns, its name changing from Trench’s Island to John’s Island to Jenkin’s Island as it came under the ownership of various lords. During the war for Independence, several skirmishes were fought here between British troops and American rebels. For years after the war for independence, the island would enjoy a quiet tranquility. The first crop of sea island cotton was grown here in 1790, launching the South’s burgeoning cotton industry into an entirely new realm. Sadly, it would also help accelerate the slave trade as the high yield of this new crop would require more intense labor to harvest and process. 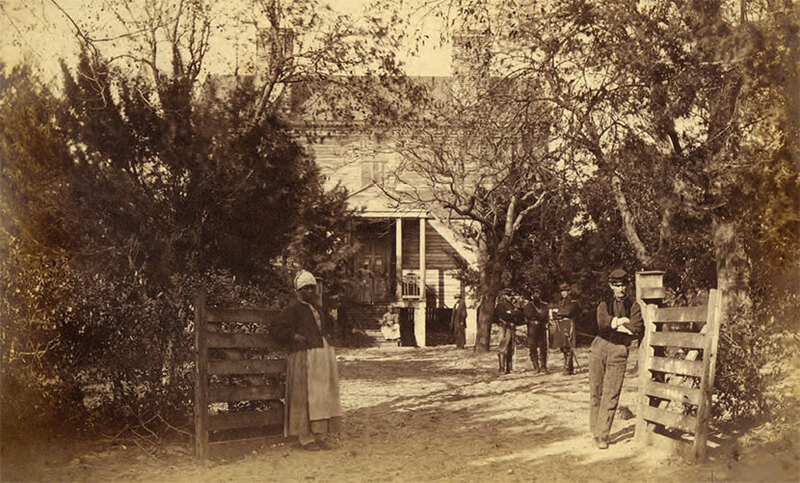 The slave trade would end with the Civil War, which came to Hilton Head’s shores in 1861. Its strategic importance as a sea island with easy access to ports in Savannah and Charleston made it a valuable target for Union troops, who took the island on Nov. 7, 1861. With a number somewhere close to 12,000 troops on the island, Hilton Head served as a staging point for various naval blockades as well as an incursion into Bluffton. This small town served as an important symbolic target, as the secession movement had begun as “The Bluffton Movement,” with a speech beneath an oak tree along the May River. 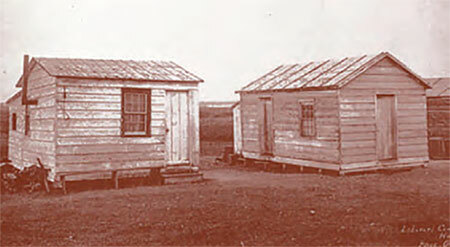 With the island in Union hands, freed slaves began flocking to the island. Facing a sudden surplus of a few hundred people, military officials authorized construction on an entire town for freedman, named Mitchelville. Built on land from the former Drayton Plantation, Mitchelville had its own laws, elected officials, roads, sanitation, taxes, a church and compulsory education. At last, freed slaves had a chance to chart their own destiny. Following the war, the island would largely be occupied by descendants of these freed slaves, who worked the land and the waterways largely separated from the outside world. In time, customs from various points of Africa would merge into a language and a culture all their own. We call it Gullah. In their own words, however, they are just binyahs (as opposed to the comeyahs who would arrive later). Their sleepy island would see the occasional visitor over the ensuing decades. Wealthy industrialists from the north would purchase a few acres of Honey Horn plantation to use as a private hunting lodge. 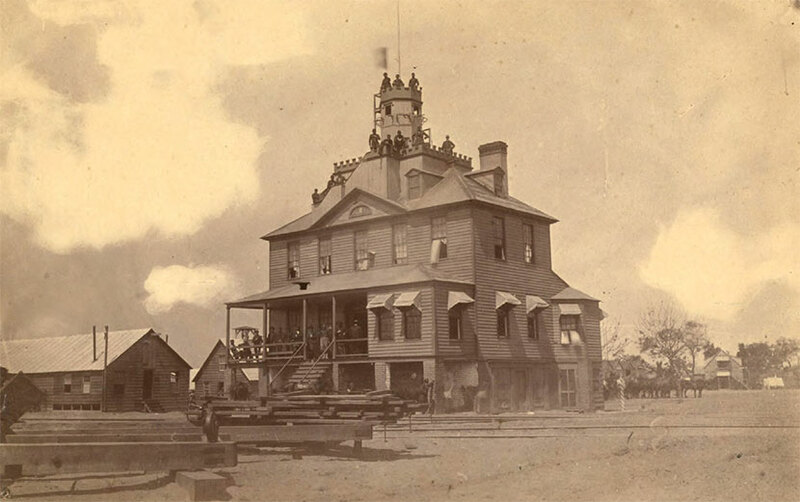 The military would build an enormous steam cannon on the island’s north end during the Spanish-American war, firing it off around 100 times and then disassembling it a year later. Other than that, however, it would be a period of relative peace and quiet for the island. Everything would change when Charles Fraser arrived on Hilton Head Island in the summer of 1950s. His family had purchased 20,000 acres of pine forest on the island’s south end with the intention of setting up logging operations within the vast woodland, but Charles saw something more. Among those timbers he saw a chance to create an entirely new kind of resort community, one built in harmony with the land. One that stood in stark contrast to the towering concrete blocks and searing neon lights of Myrtle Beach and the coastal resorts of Florida. He called his new development Sea Pines, and in that moment changed the course of resort development forever. The rest of the island would follow suit as it was developed, with town laws dictating everything from the materials of street signs to the amount of street lighting to keep Hilton Head as close to mother nature as possible. Over time, the influence of this bucolic design philosophy would not only transform Hilton Head, but change the way resorts are developed across the world. As the island grew, it did so with an eye on preserving the natural environment. When it was officially incorporated into The Town of Hilton Head Island, the first order of business was drafting a land management ordinance that helped control development density on the island. An ambitious land purchasing program kept hundred of acres around the island from development, helping keep Hilton Head beautiful.